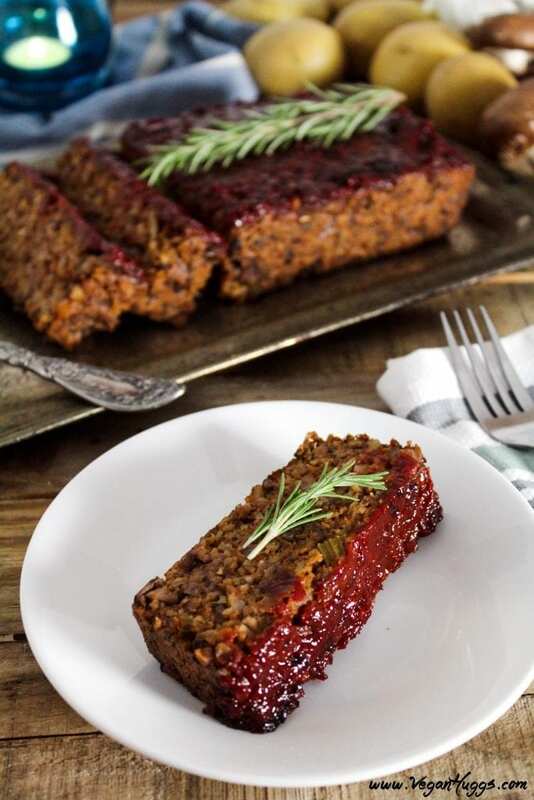 After going vegan, I really missed meatloaf, but when I really thought about it, it wasn’t the meat that was comforting my taste buds & senses back then…it was the texture, taste, and aroma I craved. Meat by itself just smells & tastes gross…especially, when it’s raw. So a Meatless Loaf was in my future. I made this Meatless Loaf with mushrooms to capture that “meaty” texture, and I used most of the same veggies, herbs & spices of a classic meatloaf recipe. You won’t be missing a thing! Mushrooms will do the trick every time, and I use them often to replace the meat-like texture. These Lentil Mushroom Tacos and my Portobello Vegan Fajitas are very popular with my non-vegan friends, and they look forward to eating dinner at our house. 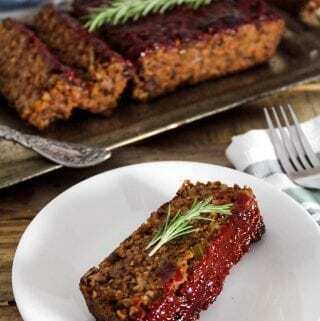 How do I make a Vegan Meatloaf? As I was saying, the mushrooms really do the trick for the meaty texture, but to pull it all together, I also added some cooked rice, rolled oats & mashed potatoes. Together, these ingredients add a nice bite-y texture and will make the loaf tender and moist. Cook your rice and potatoes. This helps with texture and the potatoes keep it all together. I make them the night before to make things easier. Sauté the onions, celery, mushrooms ans spices. Add the sautéed veggies, flax egg and to a large bowl with the rice, potatoes, oats, tomato paste, Worcestershire, salt and pepper. Combine well. Transfer to a lined loaf pan and press down firmly so it molds into pan. Top with ketchup glaze and bake to perfection. 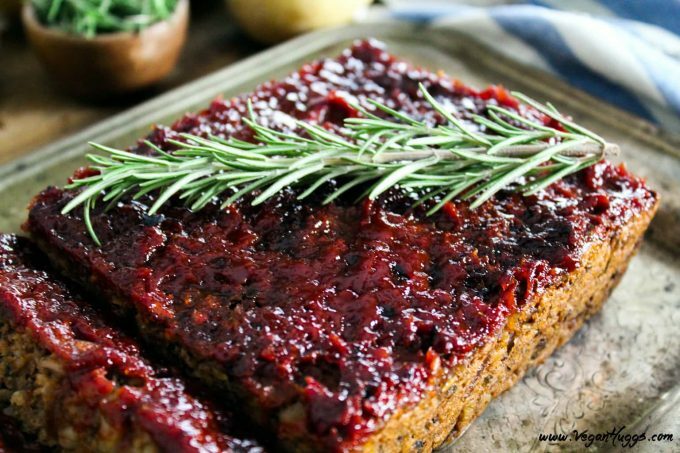 How do you make ketchup glaze for meatloaf? It’s really easy! You’ll just need mustard, brown sugar, vinegar, salt and of course, ketchup. Combined, these ingredients create a subtly-sweet, savory & tangy flavor. Just mix them all together and set aside while you prepare the rest. When everything is done, just brush it on too the top of the loaf. During the baking process, it’ll get bubbly, gooey and caramelized. My mouth is watering just thinking about it! 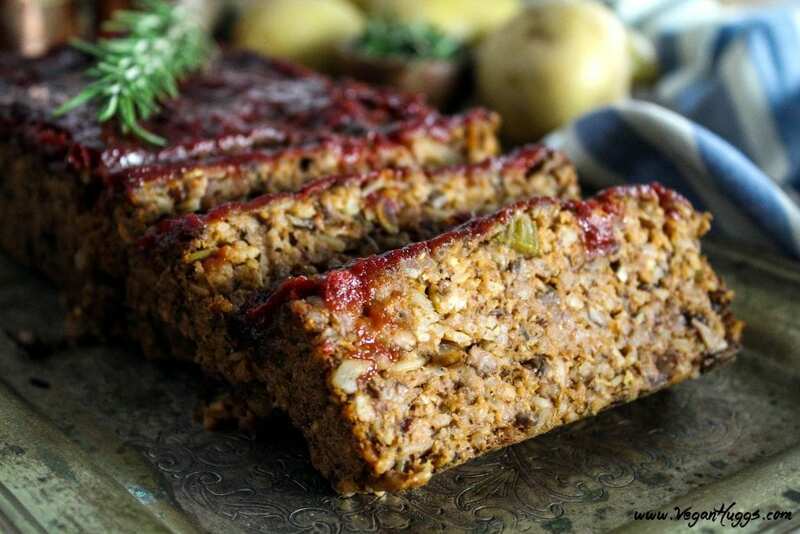 Can you freeze Vegan Meatloaf? Yes! You can bake it all the way through and freeze or just freeze after you fill the loaf pan. I haven’t tried freezing it with the ketchup glaze. It’s so easy to make fresh, so I just do it the day of. The loaf will take at least 30-40 minutes longer to heat throughout. I usually add the ketchup glaze at the halfway mark to avoid it getting too crispy. What can I serve with it? To make the glaze, mix all ingredients together in a small bowl. Mix well & set aside. Mix the water and flaxseed meal together in a small bowl, set aside for at least 10 minutes (this makes 2 flax eggs). It will gel up. Prepare a loaf pan by lining with parchment paper. Lining the pan makes it so much easier to remove after cooking. Here is a quick video on how to line a loaf pan with parchment paper. Set aside. In a large pan, heat the oil over medium heat. Sprinkle with salt. Sauté onion & celery over medium heat for 5-6 minutes, until onions are slightly browned and celery is softened. Add garlic, thyme, rosemary, parsley, and sage. Sauté for 1 minute. Turn heat up to medium-high and then add the mushrooms. (this helps them release their liquid faster & prevent boiling). Cook until they have released all their liquid and the pan and mushrooms are mostly dry. About 6-8 minutes. Transfer the cooked mushroom mixture to a large bowl. Add the mashed potatoes, breadcrumbs, flax eggs, rice, rolled oats, walnuts, tomato paste, Worcestershire sauce, salt & pepper. Combine all ingredients really well, using hands if necessary. Give a quick taste to see if it needs any more seasoning, add as needed. Place mixture into your lined loaf pan. Press down firmly so it molds into pan. Brush top of loaf with the ketchup glaze. Bake for 30-40 minutes, until heated through. If you would like to crisp the glaze a bit, turn the broiler on for 2-3 minutes. Be careful not to burn. Let the loaf cool for about 10 minutes before trying to remove from pan. Use the paper to pull it up and onto your serving dish. Let sit for another 5-10 minutes before serving. This helps firm it up more. *Cleaning Mushrooms: use a damp paper towel or a soft brush to clean each mushroom. Or, you can lightly rinse the mushrooms with water, but don't soak them. Pat dry when done. Mushrooms are like sponges and will absorb a lot of water. * I pulse the mushrooms a few times in the food processor to get them finely chopped and make life easier. Be careful not to over process or they will be mushy. If you have a small processor, you may need to chop in two batches. * Mashed Potatoes: Make extra and serve them alongside the meatless loaf. This meal also goes well with green beans, carrots or a big salad. *Make the rice the night before and leave in the fridge. This will cut your prep time down. * This makes the perfect holiday loaf. 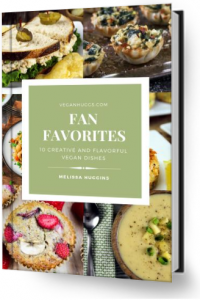 Even your non-vegans friends will love it. I’m planning on making this for a vegan solstice dinner but don’t have a loaf pan. What size loaf pan are use using? I’m considering using a larger deep square pan and doubling the recipe so there will be enough for big eaters but am concerned if it will cook evenly; what do you think or would you recommend sticking with loaf pans? Hi, Can I use brown rice instead of white? I made your meat(less) loaf for my mom, who’s sort of new to plant-based and it was an absolute winner, for us both! She shared tastes of it later with some of her omni friends and they loved it too! We’re making it for Thanksgiving, but I’m thinking of making a double batch, so we can have some to pull out of the freezer when we’re craving it and didn’t plan ahead.. All of the flavors are just spot on. Thank you for your hard work! This is excellent. I made it for the first time yesterday, my husband really enjoyed it for dinner last night and took more in a sandwich for lunch today. I will most certainly make it again. So, my church does a meal for the homeless once a month and they pick a type of food and we sign up to bring something. This month was meatloaf. I normally bring the vegan version of whatever we are doing that month but I almost didn’t sign up to do it this month because I don’t remember ever eating a meatloaf and I know I haven’t ever made one, vegan or otherwise. I decided to throw caution to the wind and looked through tons or recipes. I went with yours and I am so glad (or maybe not) that I found yours. Last night I tripled your recipe and sent it in today for our lunch. My house smelled so good I was craving it all day long. I stopped on my way home from work and bought more mushrooms (I still had everything else) and made my very own “meatlloaf” tonight. YUM!!! 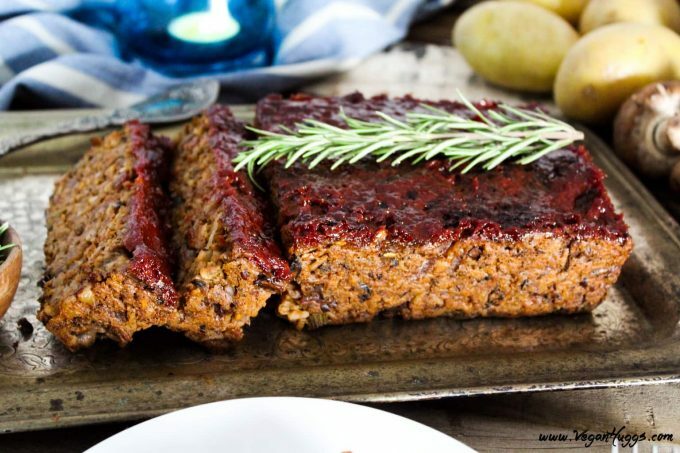 I don’t know what regular meatloaf tastes like but I am sure hooked on yours! I used a little fresh sage form the garden and added nutritional yeast. The glaze also looked great but I had to make my own because my roommate hates ketchup. I used the remaining tomato paste, wine, balsamic, salt, fresh garlic, maple syrup, and a little barbecue sauce. Have you tried using portabello mushrooms? Do you think it will yield the same results. SO, this recipe is just amazing. This is the first time I made something like this that held together perfectly! The key was the dry brushings as Melissa explained and getting most of the water out while cooking the mushrooms. I mixed in portabello mushrooms( because I love their flavor).